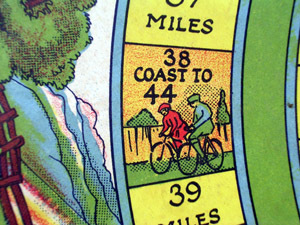 Old Australian game. 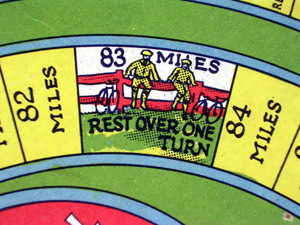 According to an eBay seller, "Copyright #9240. Westley Games Hawthorn, so probably Melbourne or Adelaide". I cannot confirm that. 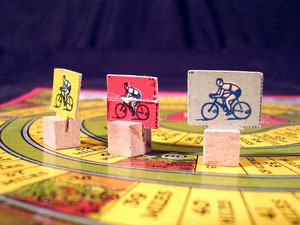 On the bigger board you can read "National - Registered Trademark". 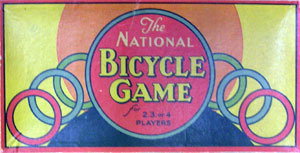 On the smaller box or board there are no indications (not even a mention of the National company), but the included rules of the game are titled "National Bicycle Game". 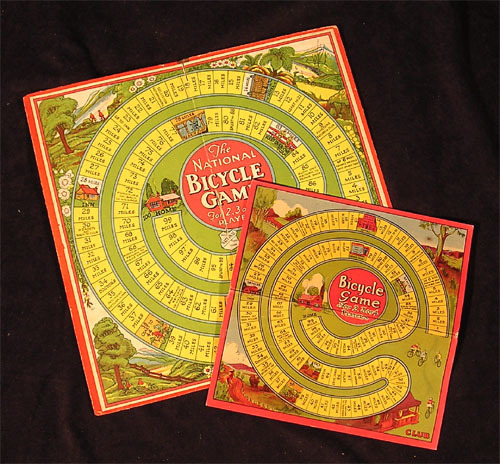 The National Company released some other games, among which a Boy Scouts game and a Motor Ride game. 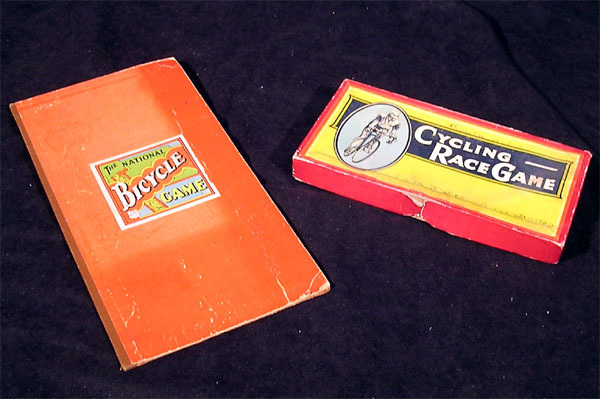 Inside the box I found a Cricket game board obviously belonging to the same series, again with no mention of the brand. 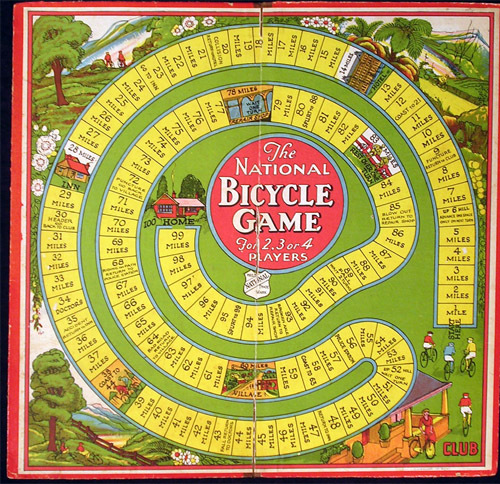 This one is very similar to the one I have, with the National brand displayed prominently. The board is small (same size as my smaller board) but with the "National" logo printed on it (just like my bigger board). 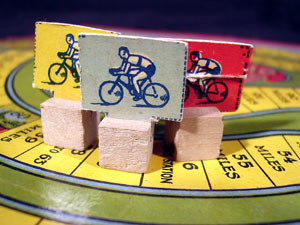 Apparently there were no cardboard riders with this one but wooden counters instead. 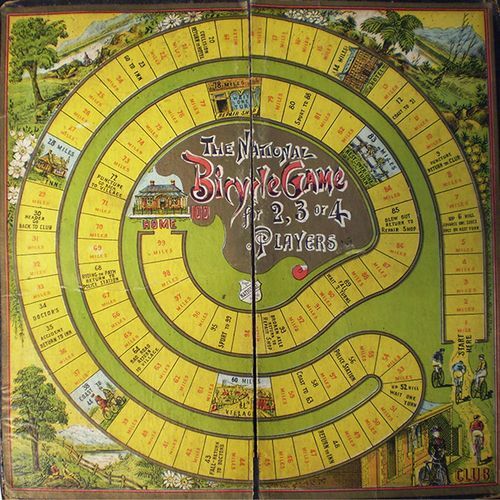 There is at least another version of the board, probably an earlier one, with more detailed drawings and nice asian-looking letters. Thanks to Wendy Morrison and Ursula Jeakins for sending pictures and information about this board.